Mike specialises in high-end, scripted, drama reconstructions for historical documentaries and has directed several 60 minute films, broadcast on History and National Geographic channels, as well as for the National Parks Service in the USA. He also writes and directs short-form documentaries for delivery on the internet. Experienced with directing both small and large crews, and with a range of cameras, from the Red to the Go-Pro, Mike delights in composing shots with jibs and dollies. He is practiced with night shoots, interiors and studio work, including green screen, as well as having experience shooting in a wide range of landscape locations. 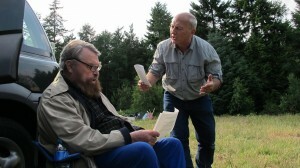 Mike has worked with actors for over thirty years, both in the theatre and on screen. He taught in several drama schools in London for many years and he has worked extensively with re-enactors. He knows how to tune a performance from the professional and how to coax one from the untrained. His experience as an action arranger, choreographing large-scale battle scenes, means he is also adept at directing complex crowd scenes and creating interesting background action. His specialised knowledge of horses and action make him the ideal choice of director where these elements are required but he is equally at home directing intense psychological drama. His wide knowledge of history ensures attention to detail and an authentic period feel. 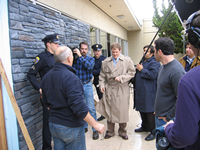 Mike is experienced in many aspects of production both on screen and behind camera. He is aware of every department’s needs and their potential to contribute to the overall picture and takes equal care to work with the art department, wardrobe and make-up as well as the camera crew, sound and the talent. He always has ingenious solutions to maximise screen value on tight budgets. 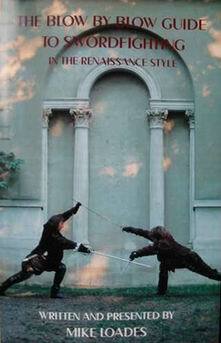 Mike wrote, produced and directed NINE x 2-minute films about various weapons and troop types – from Roman to Napoleonic – featured in this popular battle-tactics game show. Mike wrote, directed and edited this 50 minute film in 4k. Mike was director, writer and presenter for this 9 minute film about the creation of a historical theme park at the Middelaldercentret, Denmark. 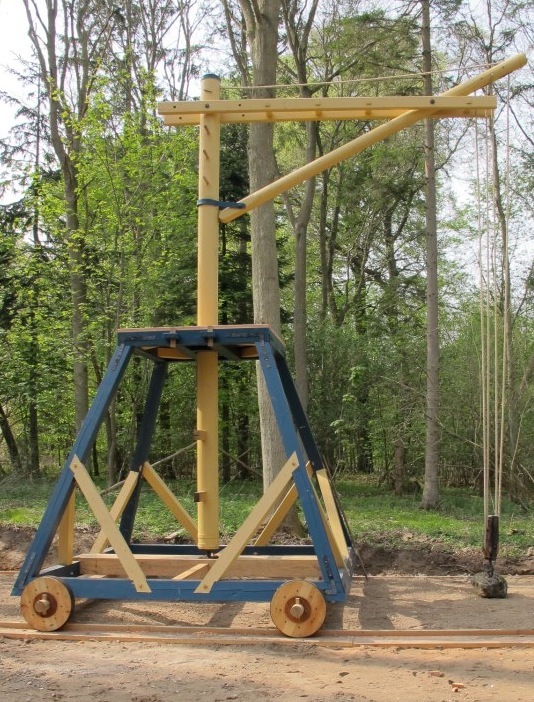 Filmed in one day, it takes a look both at the old medieval centre with its fabulously authentic houses, streets and harbour and at the new, adjacent technology park which features working, large-scale medieval machines and engines. These fantastic contraptions are all faithful replicas of designs that occur in the pages of medieval manuscripts. Crammed with historical information, they switch between presenter led action and elaborate computer graphics sequences, using specially created graphics from the game model. This use of the ‘product’ to illustrate the documentary is the only presence that the game has in these films, which are factual documentaries about the Roman Army, intended to stimulate interest in the period. The Throwing War deals with the slings and arrows, the spears (pila) and artillery of the Roman Army and was presented by Brian Blessed and Gordon Summers. Legionary Kit examined the armour, weapons and equipment carried by a Roman legionary on the march. It was presented by Mykel Hawke and Adam Schuch de Forges. Perils of Empire referenced the battle of the Teutoburger Forest to illustrate both the limits and imperatives of expansion for a large Empire. Interviewees were Bettany Hughes, Adrian Goldsworthy, Lynette Nusbacher and Mike Loades. This dramatised documentary for the National Parks Service, shows on a 10’ x 6’ screen at the Whitman Mission Visitor’s Center near Walla Walla, Washington State. 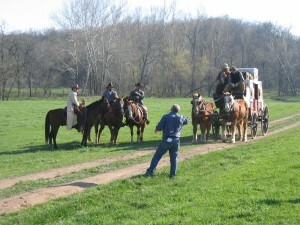 It was filmed on the RED with prime lenses and on location in Oregon and with interiors at Fort Vancouver. It deals with the tragic story of Marcus and Narcissa Whitman. 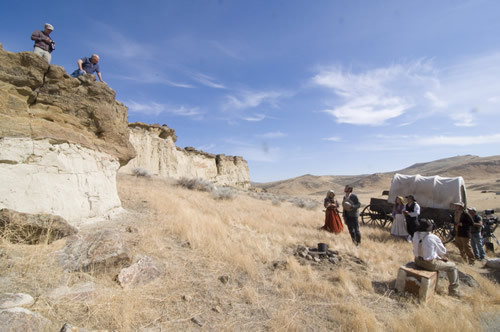 In 1836 the Whitmans travelled to the Columbia plateau to establish a mission to the Cayuse Indians. Marcus Whitman was also the first person to take a wagon across the Rockies and so open up the Oregon trail. 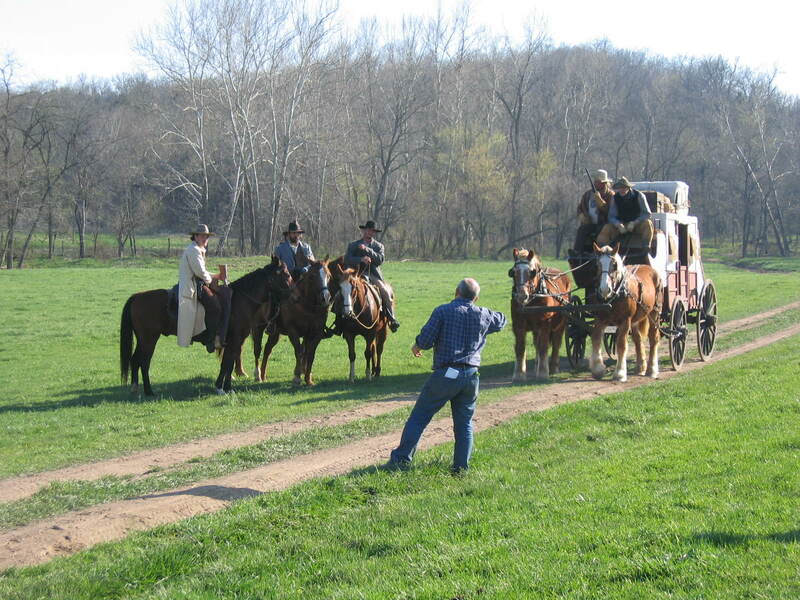 With the flood of emigrants that followed came tensions with the native peoples and the spread of disease. In 1847 the Whitmans, along with 11 others, were killed during a raid on the mission house. This two-hour drama/doc special was filmed on tall ships off the Cornish coast and tells the story of the US Navy’s African Squadron hunting down an illegal slave ship in 1859. It was filmed in HD and includes dramatic helicopter footage of the sea chase. Interior scenes on the gun deck were filmed aboard HMS Warrior in Portsmouth and scenes from the African jungle were filmed at The Lost Gardens of Heligan. It is a disturbing and moving film. A one-hour special in High Def tracking the manhunt for John Wilkes Booth, after his assassination of Abraham Lincoln. 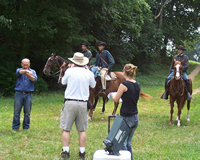 The story, shot largely at night, follows Booth from the shooting at Ford’s Theatre in Washington as he tries to escape through Maryland and Virginia. Booth, the most celebrated actor of his day, was a handsome and debonair figure. A staunch Confederate he thought to prolong the war by Lincoln’s assassination. Aided by David Herold, an associate who idolised him, Booth was on the run for nearly two weeks. He broke his leg in a fall immediately after the murder, which hindered his ability to ride. He and Herold took a small boat to cross the Potomac River but got hopelessly lost. Finally, cornered in a tobacco barn, he was smoked out and shot. It is a chase movie and a portrait of a man who had it all and then threw it all away. A one-hour special filmed in HD. The story centres on John Hinckley Jnr and his obsessions with Jodie Foster, the film Taxi Driver and guns. It chronicles his gradual mental deterioration in the months preceding his failed assassination attempt on President Reagan in 1987 and includes recreated scenes of the shooting which were intercut with archive footage. It is an intense and dark psychological drama. A one-hour special in HD telling the story of Bob Ford – the man who shot Jesse James. Here is the hero of popular imagination – Jesse James, the outlaw – a man with charismatic dash. There are posse chases, stagecoach hold ups and bank raids. But here is also the dissolute and degenerating Jesse. Jesse the bully and Jesse the egotistical tyrant who so oppressed the young Bob Ford, that Ford’s adulation and respect gradually metamorphosed into resentment, jealousy and hatred. After the assassination, Bob and his brother Charlie were pardoned, by pre-arrangement with the Governor, but they felt the sting of public opprobrium. Charlie Ford committed suicide and Bob’s fortunes sunk to an ever lower ebb until he, too, was shot in an act of vengeance. Mike was Second Unit Director and Action Arranger on this two-hour High Def special, when it filmed in Romania but he took over as First Unit Director for a two-day shoot in the U.K. It tells the story of the Iceni Queen Boudica and her doomed uprising against the Romans in 60 AD. Mike wrote, produced and directed these videos in the early nineties. They have been a huge success, winning both critical acclaim and selling many thousands of copies worldwide. Tracing the history of the bow from Neolithic times to the present day, this video, written and directed by Mike, has over 30 vignettes of different historical periods, each depicted in meticulous and elaborate recreations. 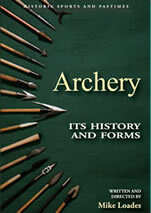 It encompasses archery for war, hunting and recreation. It also has the distinction of being the very first film to have been filmed in the UK on the then new Digi-B format. All Digital Films took delivery of the first UK camera from Sony and we began filming on this project the very next day. (72 minutes).